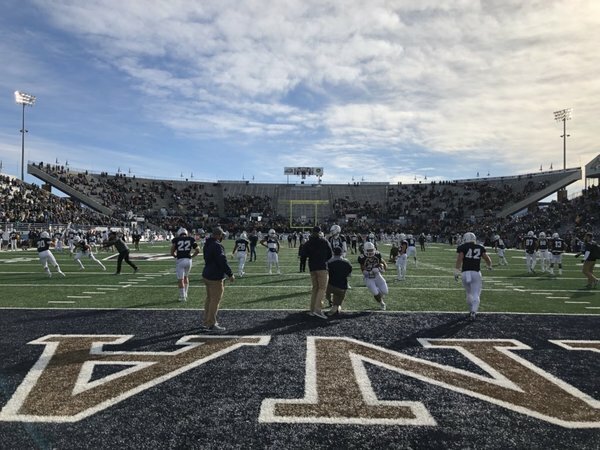 Live coverage from the sports staff at the Bozeman Daily Chronicle of the annual Montana State-University of Montana football matchup from Bobcat Stadium in Bozeman. Bobcats seniors are being honored on the field as part of Senior Day festivities. Today will be their last game in an MSU uniform. 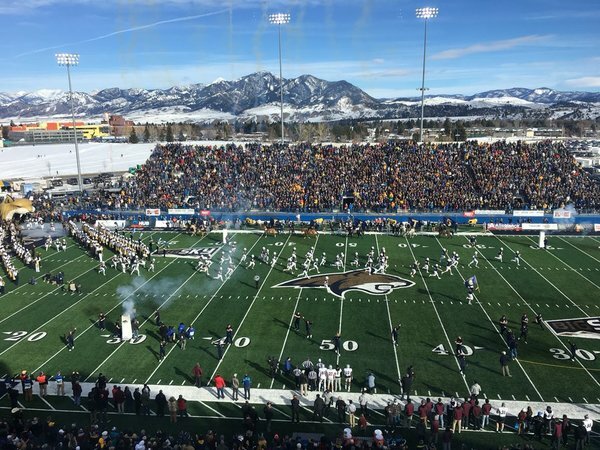 When Montana took the field, the Bobcat Stadium crowd booed. Packed house at kickoff. Fa'anono made the first stop. McCabe made the second. UM facing a third and 4 on opending set. Montana approaches midfield with a gain of 8 on first down. UM opened the game with several runs and then Gresch Jensen hit Keenan Curran on a play action. Griz moving the ball. Montana offense cruising but facing third and goal from the 3. Big play coming here. Montana ran the ball eight times and threw it three times on opening drive. Montana has been much more balanced offensively this year, but I'm not sure anyone expects the Grizzlies to beat the 'Cats at their own game: pounding the ball on the ground. Montana State takes over at its own 25 after the touchback. Murray rolls out and finds Herbert on the sideline. He already has two completions, as many as he had in last year's 'Cat-Griz game. Grizzlies open second drive with another run. If they can pound the ball effectively, that's a major storyline to watch. 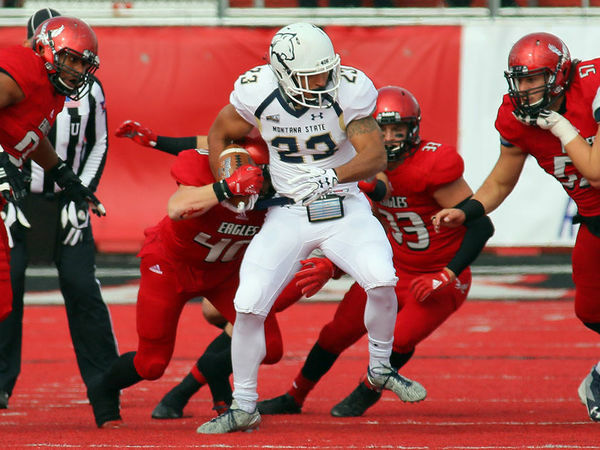 Montana State head coach Jeff Choate has said he wants the Bobcats' identity to be running the ball and stopping the run. MSU just came up with a stop on third and 1 on a Montana run up the middle. UM lines up to punt.